← Chick Pea Cookies: Success! This spotlight is thanks to Claudine Norden of Colorado. Knowing my type gives me permission to be me, and help me better understand the people around me. 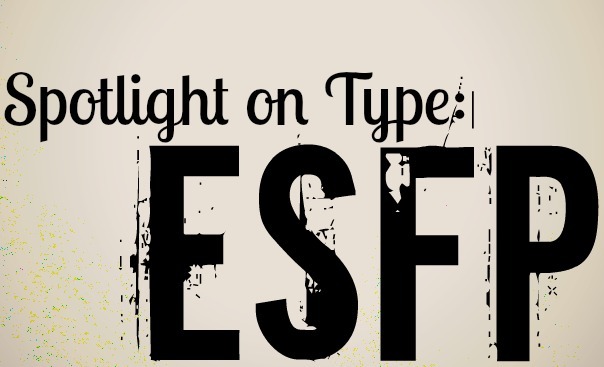 How has knowing your type helped you better understand yourself? Knowing my type has helped me understand the way I’m created and wired, and has challenged me to grow the other end of the spectrum to be successful in relationships with others, to have compassion for others and more understanding of differences. How has knowing your type helped in your relationship(s) with others? Knowing my type has encouraged me understand others and how to cultivate deeper, more authentic relationship based on the differing types. I have enjoyed delving into understanding others because their thought process is so different from mine. It offers a refreshing perception to how we are all created for a purpose and why we were all created so uniquely by God’s design. Do you have a significant other? Does s/he know their type? If so, how does both of you knowing type help the two of you better understand each other? Yes and yes. Each of us knowing our type helps us problem solve and encourage each other in the way we need to be encouraged or rationalized with. The overarching difference is that I prefer extroversion and he introversion… to the extremes! So when I am mindful and aware (my better self), I can see his response to the same experience is usually the exact opposite of what mine would be. Has knowing your type brought freedom in your life? If so, explain. Yes! It gives me “permission” to be me and an understanding of how I am hard wired, yet challenges me to create new habits/patterns from what have gotten me stuck in the past. I don’t feel I need to “reprogram” the fall line of my natural path, rather create new paths. Has knowing your type helped you at work? If so, how? Yes, it has helped in building relationships and moving forward from a strengths-based approach utilizing others’ strengths and type to achieve a common goal vs. getting stuck in the difference of opinion and personalities. Did anything surprise you about your type? From the last time I took the assessment (maybe 5 years ago?) my Judging preference changed to Perceiving. My presumption is that marriage and having a child has changed that in me—causing me to grow in those areas of Perception and possibly answer those questions differently. What did you think of the process—taking the assessment, walking through the results? Was it helpful to work through it with someone? Why or why not? For sure. Helps to have the process facilitated and be given feedback on what to work on, was interesting to talk to Kristin who is of an opposite type (Introvert), but who also had a similar type confusion (assessing as Judging one time and Perceiving the next). Whatever your role is in life—professional, wife, mom, daughter, husband etc—speak to others like you. Why is it important for a __________(fill in the blank) to know his or her type? As a professional, wife, mom and daughter it is important to know my type to see clear-eyed as to how God has created every single one of us for a purpose. Everyone has their strengths and understanding the different personalities broadens my perspective to achieve a deep, authentic and honoring relationship with others for job and life satisfaction. 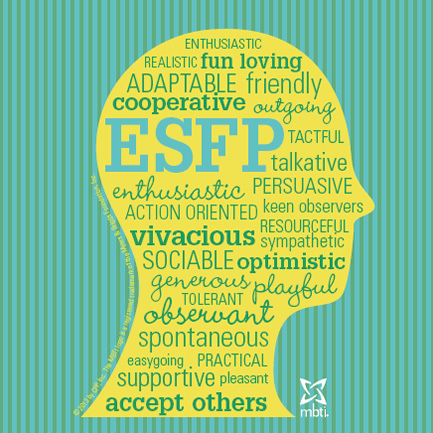 This entry was posted in Myers Briggs and tagged ESFP, extraversion, feeling, myers briggs, perceiving, sensing, spotlight. Bookmark the permalink.